Autumn beauty in Kitano Tenmangu Shrine, Kyoto. There are about 250 maple trees in the precinct which turn deep red from November to mid December. 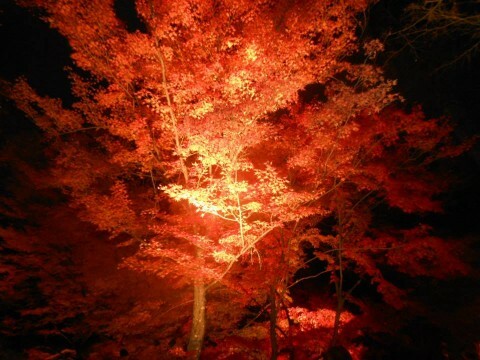 Hundreds of maple trees line the garden’s river and are lit up in the evenings.